Investing.com – The U.S. dollar edged higher against its rivals Tuesday as upbeat U.S. inflation data reaffirmed price pressure were building as the Federal Reserve got its two-day meeting underway. 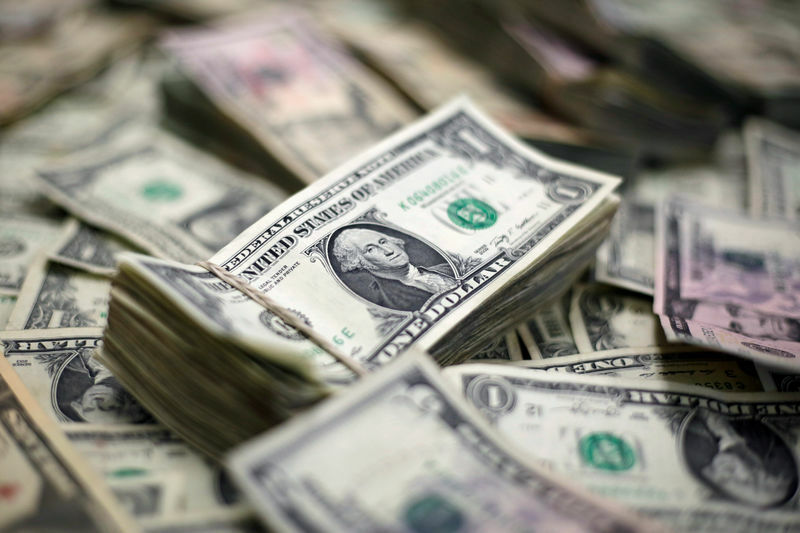 The U.S. dollar index, which measures the greenback’s strength against a trade-weighted basket of six major currencies, rose by 0.02% to 93.58. The Labor Department said Tuesday its core consumer price index rose 0.2%, beating economists’ forecasts for a 0.1% rise. While year-on-year, the core CPI rose 2.2% from 2.5% the prior month. The inflation data come as the Federal Reserve’s two-day meeting got underway, with an interest rate decision, update on both economic projections and the rate hike cycle and a press conference from chairman Jerome Powell due Wednesday. Following the CPI data, Wells Fargo said it expects core PCE – the Fed’s preferred measure of inflation – to reach the Fed’s 2% target in the third quarter of year. The bank also said it expects the U.S. central bank to hike rates on Wednesday and twice more in 2018. The dollar was also supported by a falling euro amid weaker Eurozone economic data but losses were limited somewhat by expectations the European Central Bank (ECB) Thursday could announce an exit to its massive bond buying programme. Deutsche Bank said that while it expects the quantitative easing exit announcement will be made in July, it is a “very close call” and a June announcement would not come as a surprise. The bank said, however, that an earlier announcement of an exit from quantitative easing would not signal the ECB was willing to adopt a more aggressive stance on monetary policy tightening. EUR/USD fell 0.03% to $1.1781, while GBP/USD rose 0.17% to $1.3403 as latter pair came under pressure after several UK cabinet members reportedly stepped down as the Brexit Withdrawal Bill vote got underway. USD/CAD rose 0.08% to C$1.2991 as rising oil prices supported the loonie. USD/JPY rose 0.18% to Y110.25.